An incredible catapult transformed into Europe's fastest roller coaster. In Furius Baco, a professor is preparing to launch his new grape collecting machine; if his assistant monkey pulls the wrong lever, the contraption will turn into an out-of-control catapult. This unbelievable catapult puts even the bravest of passengers to the test, going from 0 to 135 km/h in just 3 seconds. On its heart-stopping trajectory, the catapult soars downwards, almost touching the ground, crossing ditches, hurtling through tunnels and even skimming the water of the Mediterrània Lake. 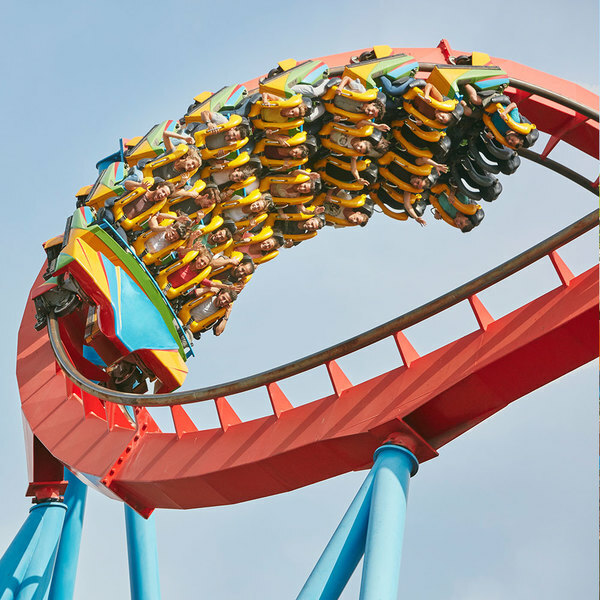 Furius Baco is undoubtedly one of the most adrenalin-inducing attractions. Power, speed and acceleration are the main players of this 850 m-long ride. Furius Baco is not just about speed. 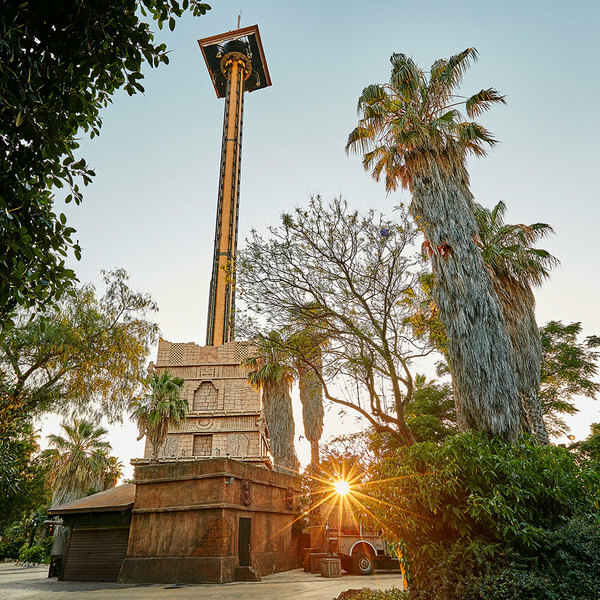 Do you want to read some interesting facts behind the construction of the ride? The history of Furius Baco can be wholly and artistically described in an “Auca”, adeeply-rooted form of expression in Catalonia in which the story is narrated in verse through a series of vignettes. Furius Baco was invented on a farmstead belonging to the Hereu family, where the heir wanted to build a machine to transport barrels of wine at high speed in order to increase the production of the vineyards. 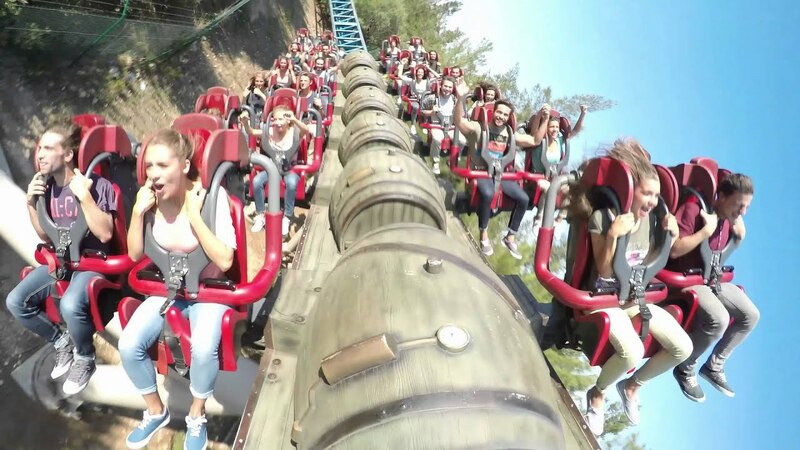 Something goes wrong, and Manàs, the inventor's monkey, readjusts the machine's speed, launching Furius Baco at a speed of 135 km/h from 0 to 3.5 seconds. 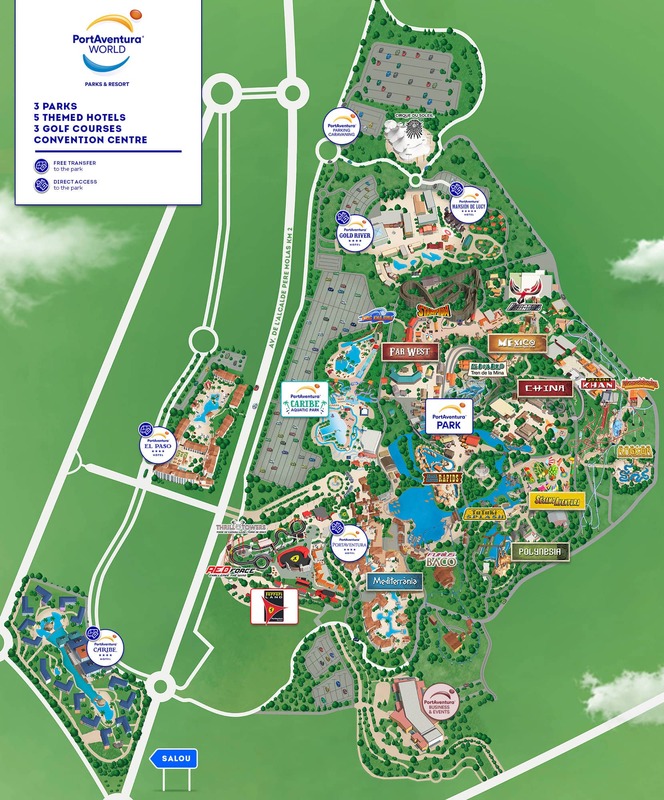 Building Furius Baco was somewhat complicated owing to the length of the track and the different terrains that the catapult passes through (tunnels, ditches, forests, vineyards, the Mediterrània lake) and as such, it was the most technically complex ride at the resort at that moment. To give you an idea of the complexity of the design, the driving mechanism behind Furius Baco is similar to that of an aircraft carrier catapult. 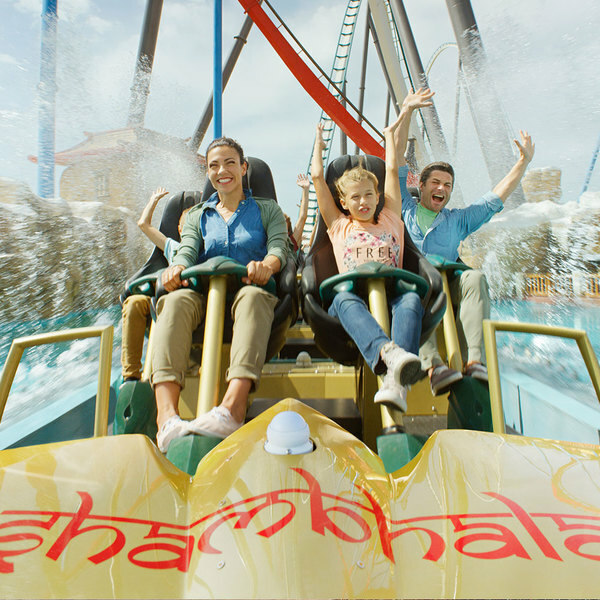 Besides being Europe's highest roller coaster, PortAventura's Shambhala ride boasts the longest free-fall drop of any roller coaster in Europe. Especially designed for thrill-seekers who want be dropped at full speed from a height of 100 m. Hair-raising! 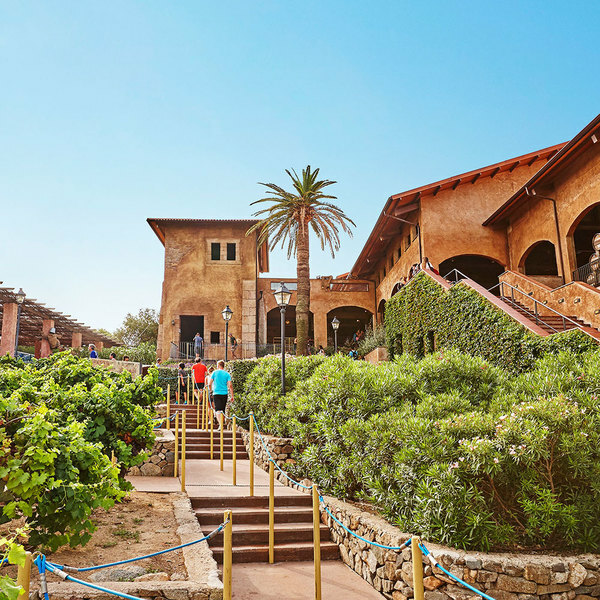 This ride is one of PortAventura’s classics: descents, speed and eight loops.